AI continues to grow as a popular buzzword in the world of marketing but few marketers actually know how artificial intelligence can be applied to marketing and the kind of impact it is having. 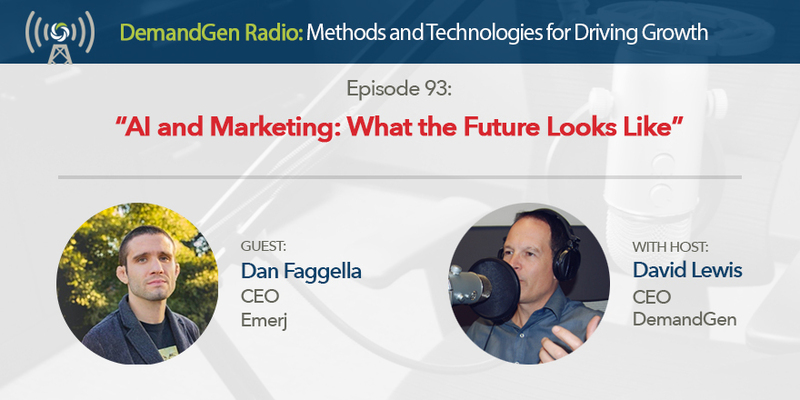 Dan Faggella, CEO of Emerj, is a subject matter expert when it comes to AI and he joins me in this episode to talk about the driving forces behind artificial intelligence and its implications in marketing. Listen as we talk about where marketers can go to access AI tools and technologies, what CMOs should be considering when it comes to adopting AI and machine learning, and how to stay ahead of the curve in successfully leveraging AI.